We have oak barrels. Why? 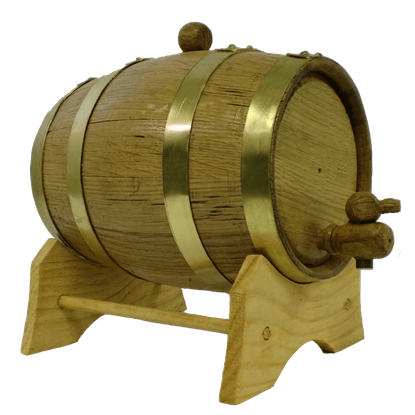 Because we like authentic experiences, and there is no experience more authentic to a pirate or a medieval reenactor then sipping their very own, personally aged alcoholic spirits. After all, should not something you aged personally be the tastiest spirit of them all? 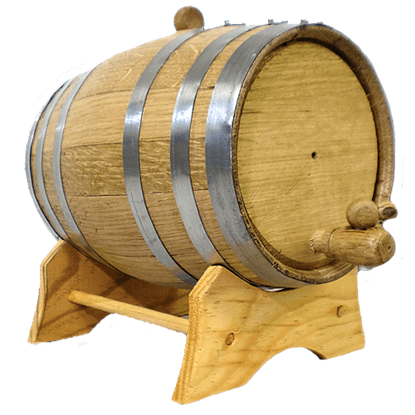 For your spirit-aging endeavors, we offer a number of oak barrels that will accomplish the task quite nicely. 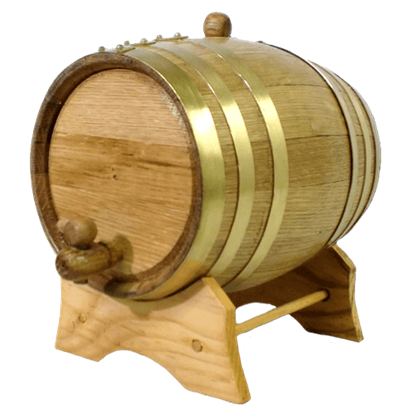 We have a plethora of plain barrels, which come in sizes that hold either 1, 2, 3, 5, or 10 liters of fluid and offer variations in the metal bands around the barrel, which come in black steel, steel, and brass. 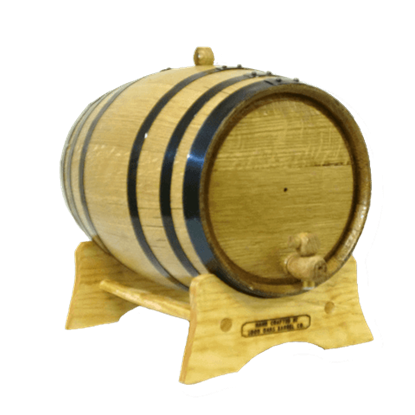 If you seek a more customized barrel, we also offer several oak barrels in 2, 3, and 5 liter volumes that feature laser-burned images across the face, adding a touch of character, and even humor, to the barrel as a whole. 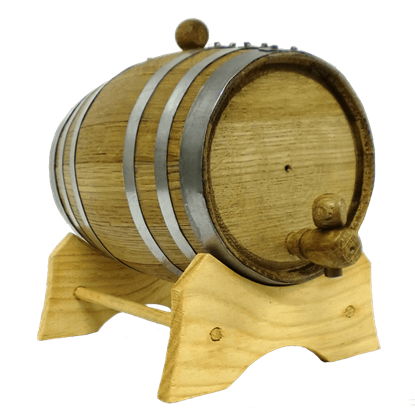 All of our oak barrels are crafted from American white oak, and feature a medium toast; each oak barrel also comes with a basic stand, a bung, and a wooden spigot. 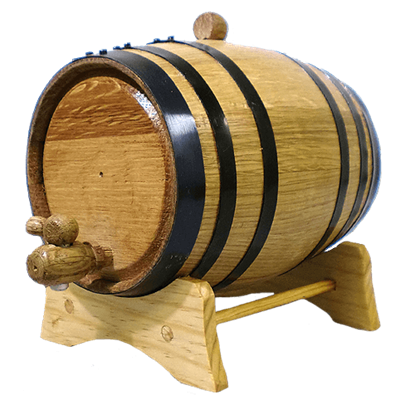 Our oak barrels are perfect for aging your own spirits, and work wonderfully with any of the essences we offer. 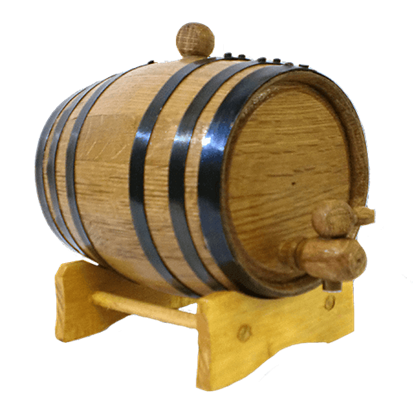 In fact, we sell everything you could need, minus the actual alcohol, to age your spirits and care for your oak barrel. So what are you waiting for? 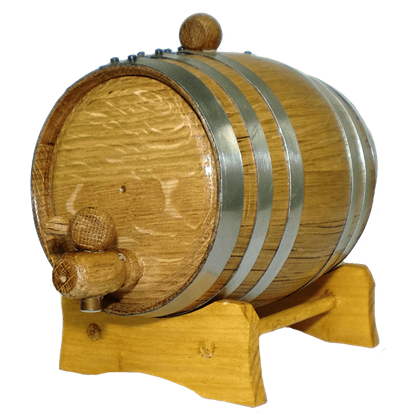 Grab an oak barrel and age your own delectable spirits today!